Introduced by Maxwell & Beale (Corfe Mullen, Dorset, England) in 1951, as E. verticillata; originally sent to the nursery from the Royal Botanic Gardens, Kew, on 16 March 1949. Identified subsequently as a hybrid, after it was given the cultivar name by Mrs C. Turpin (West Clandon, Surrey) in 1990. Synonyms include E. anthura 'Heaven Scent'; 'Major Turpin's Form'; 'Maxwell's Form'. Name is a pun on the scent of the plant, suggested by Cherry Turpin. 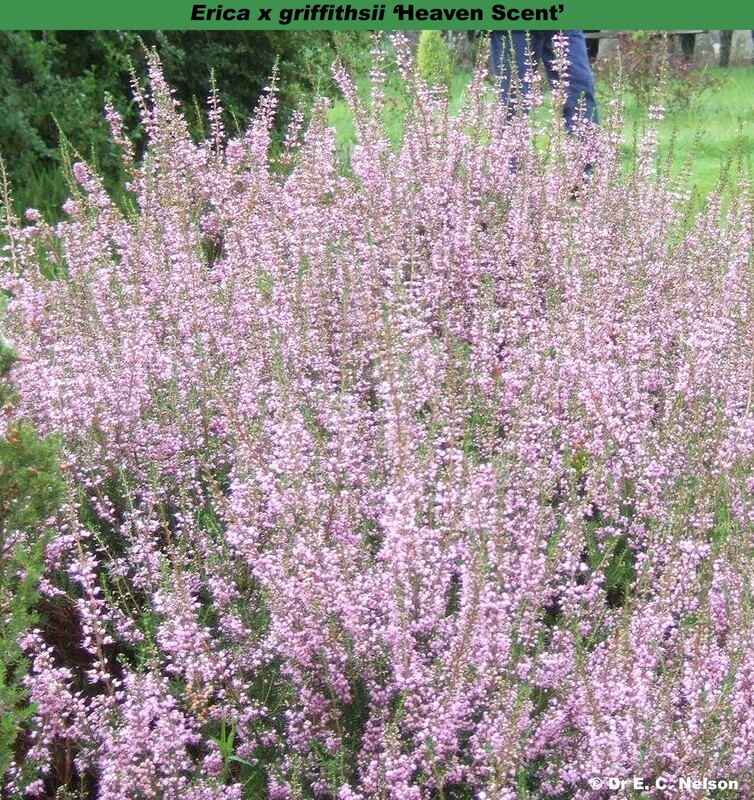 Habit: Vigorous, upright; height 75-100cm; spread 46-60cm.